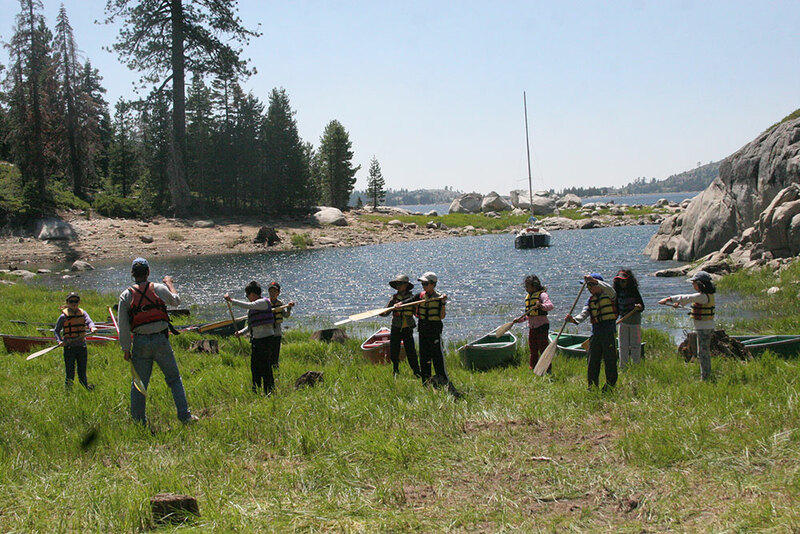 All first-time campers learn the basics of handling a canoe. Each paddler starts with their own boat, learning to paddle solo before advancing to tandem paddling. 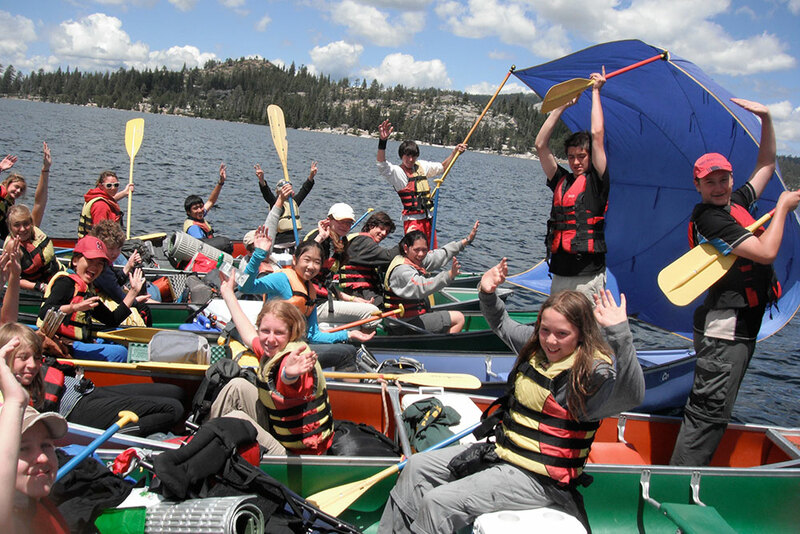 We play lots of games in the canoes to develop competency and train campers in canoe rescues. 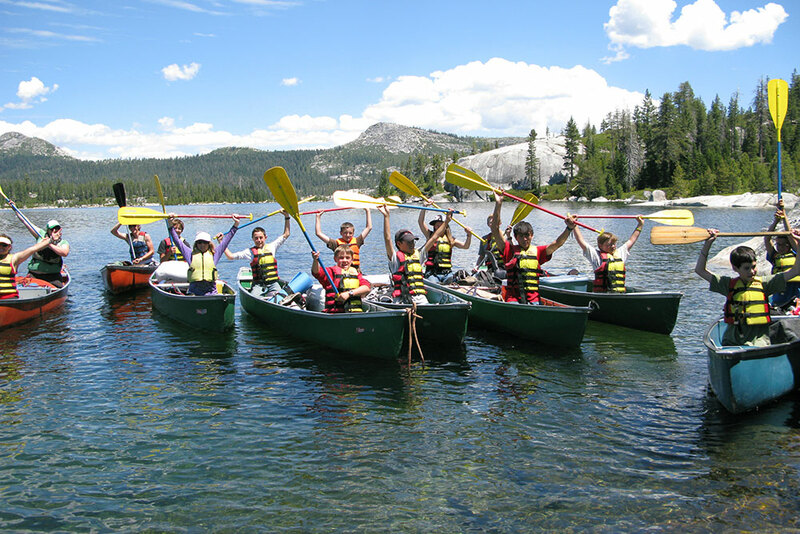 Many campers say that canoe class is one of their favorite parts of camp. 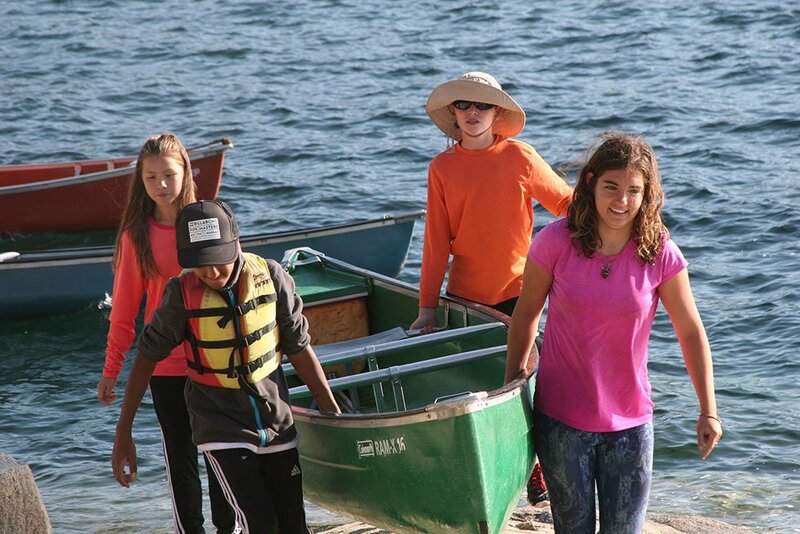 Once you complete Deer Crossing’s canoe class, overnight island camping, trolling for trout, and dinner on the lake are added to your activity choices. 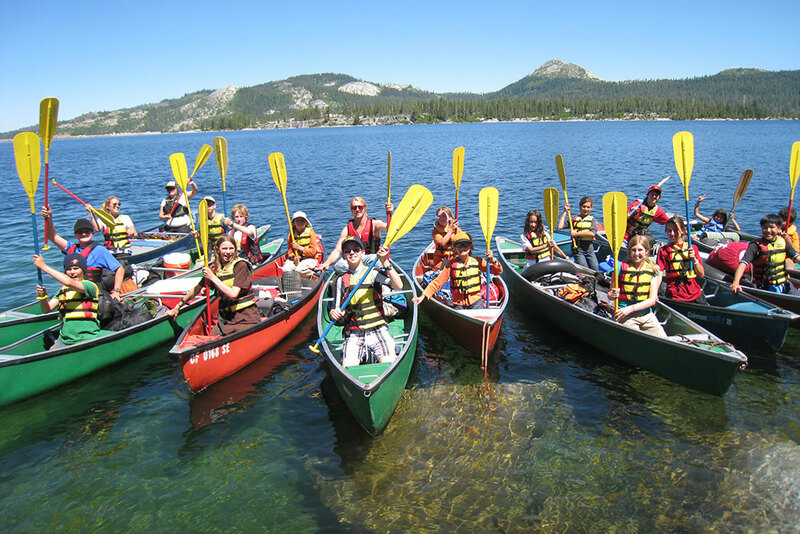 Loon Lake has several picturesque islands and the canoe camping out-trip is a favorite of many campers. 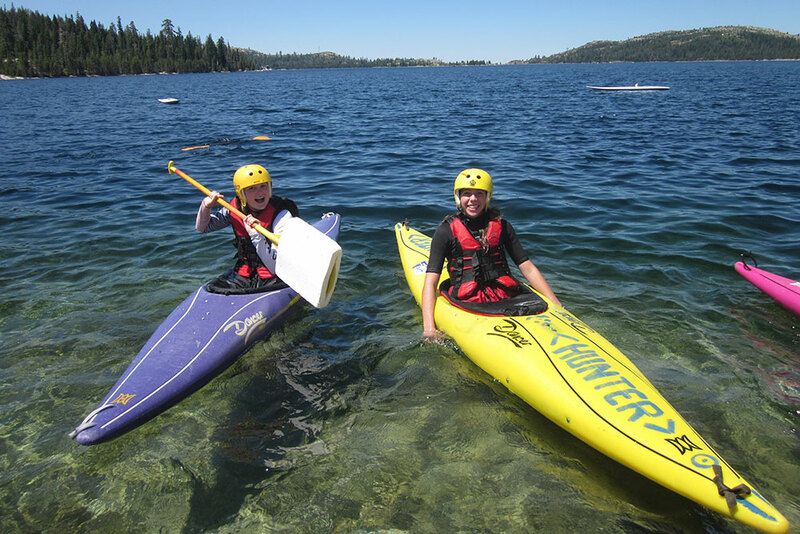 Kayaking courses start on the flat waters of Loon Lake. The lake course covers strokes, wet exits, bracing, sculling, turtle swimming, Eskimo rolls, hand rolls, and rescue skills. 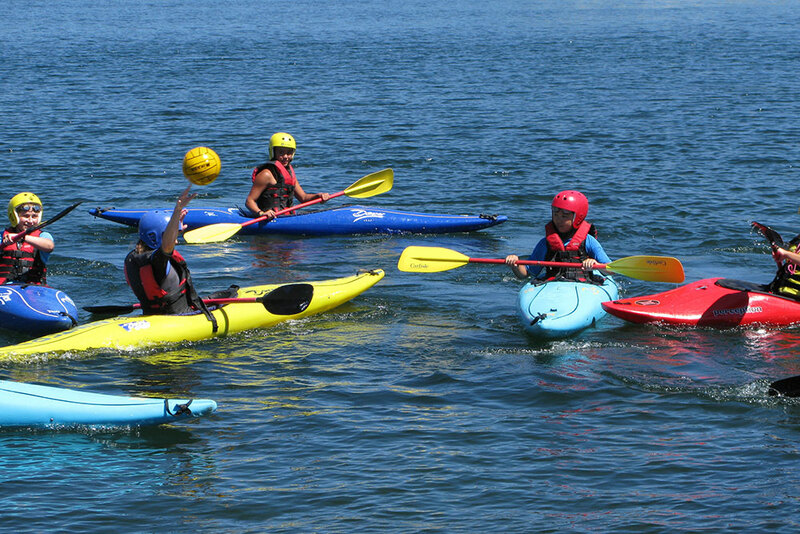 In addition to instruction, there are many opportunities for kayaking games, such as “Pirates and Galleons” and kayak water polo. 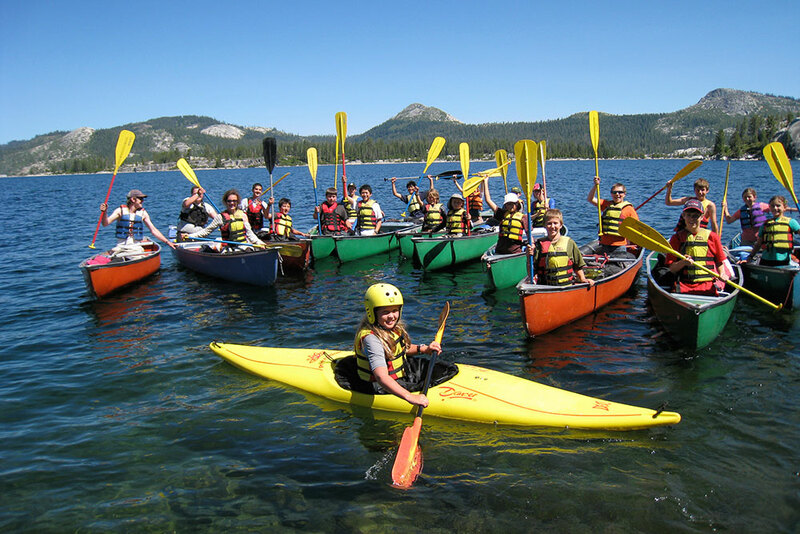 Campers who reach a certain proficiency in kayaking can paddle a kayak on the canoe camping out-trip. 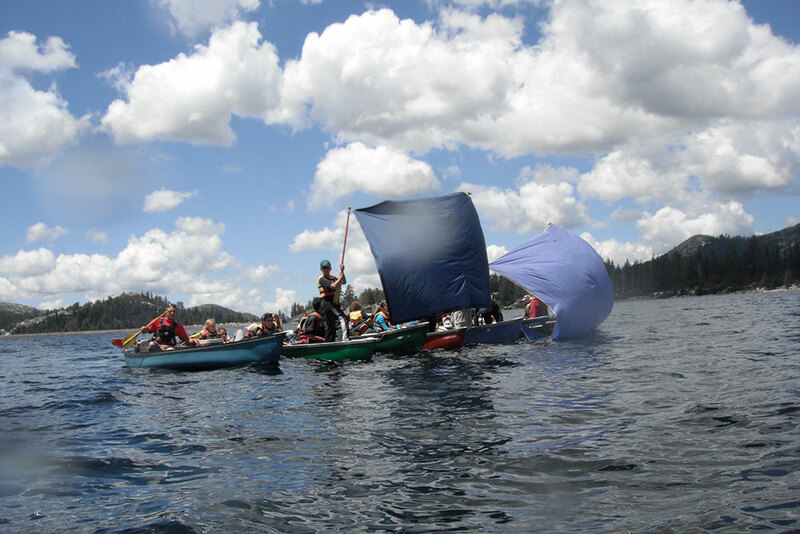 Loon Lake’s consistent wind patterns make Deer Crossing a great place to learn to sail. Sailors practice running, tacking, jibing, rigging, 360 spins, captaining, man overboard rescue, and capsize recovery drills. 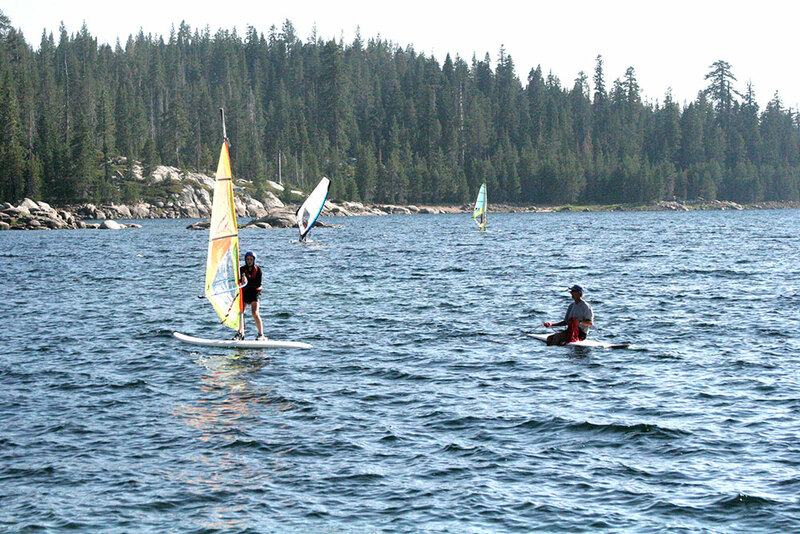 Advanced sailors can sail solo (under supervision, of course) and participate in lake races. Advanced sailing theory and racing tactics help give motivated captains an edge. 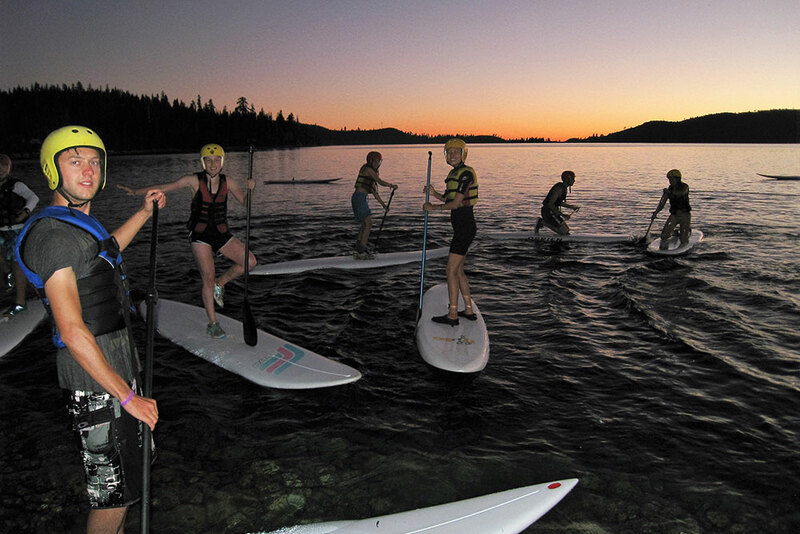 Lots of campers enjoy the opportunity to practice their balance in stand-up paddle boarding. They may explore the lagoons and islands of Loon Lake in search of the elusive Loonie, whose cousin lives in the Loch Ness in Scotland, or enjoy the quiet of the lake at sunset. Recreational swimming, known as “open beach” at camp, is usually offered several periods each day. 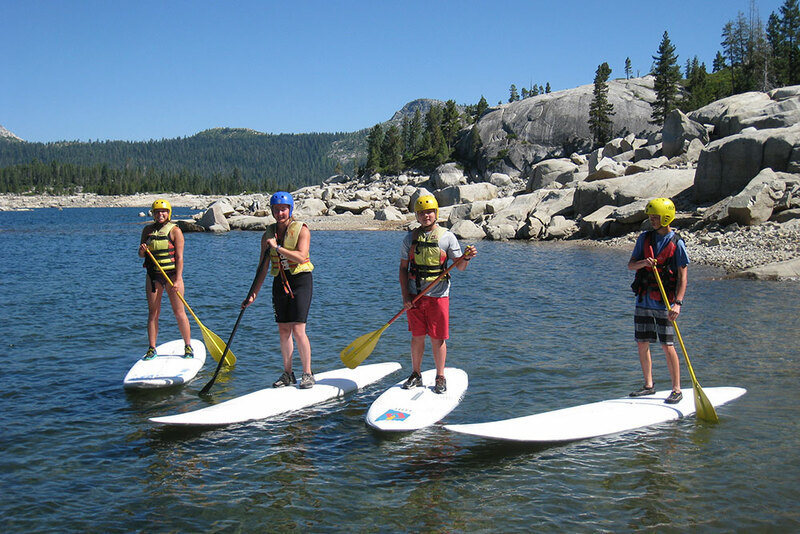 Campers can swim in the crystal-clear water or relax on the warm granite beach. Open beach is supervised by certified lifeguards with advanced open water training. Other activities available at open beach include snorkeling, training for the one-mile lake swim, and inner tube water polo. Deer Crossing does not offer instructional swimming. Campers must know how to swim—face in water, crawl or freestyle—prior to coming to camp. Strong swimmers at Deer Crossing may participate in the lake swim, which usually takes place during Sessions 2, 3, and 4. Campers swim from the Deer Crossing lakefront to Loon Lake’s Second Dam, a distance of about one mile. Some campers even swim back to camp! For safety, a canoe or rescue board trails each swimmer. Campers prepare for the lake swim by practicing in lake swim prep classes. 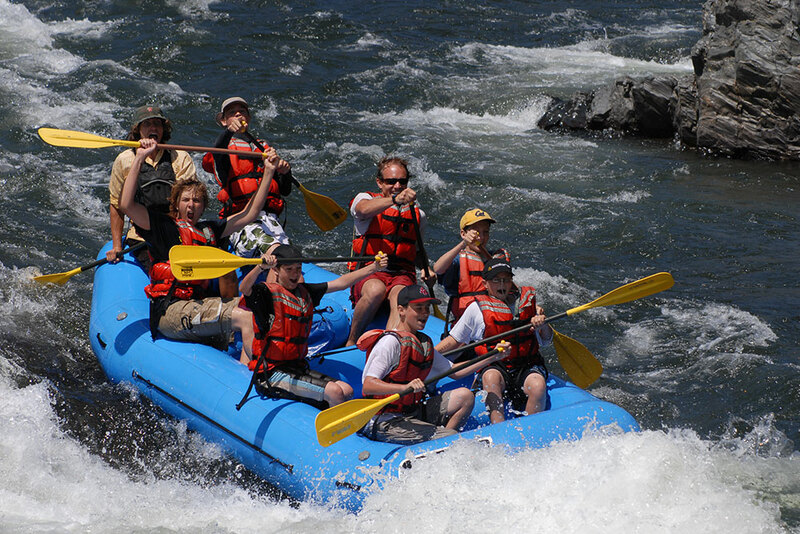 Whitewater rafting is an exciting optional one-day trip on the American River with the rafting company Mother Lode. 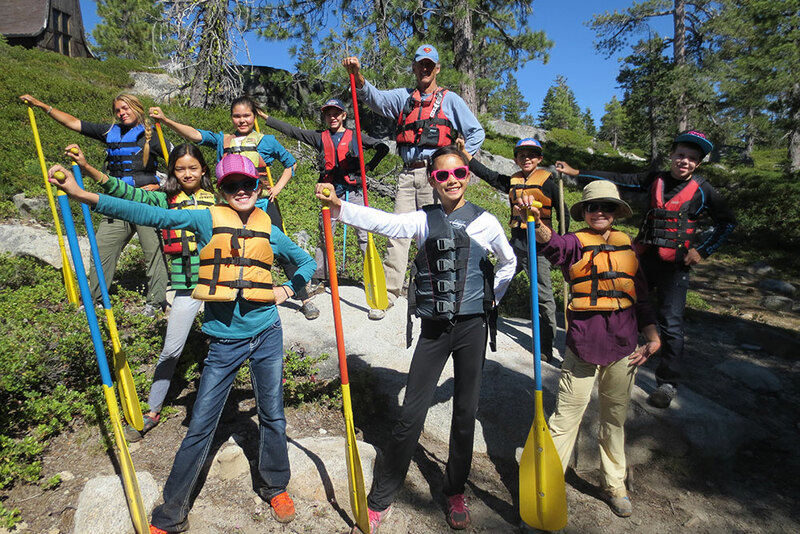 This day trip rafts down the upper South Fork of the American River through class 2 and 3 rapids. 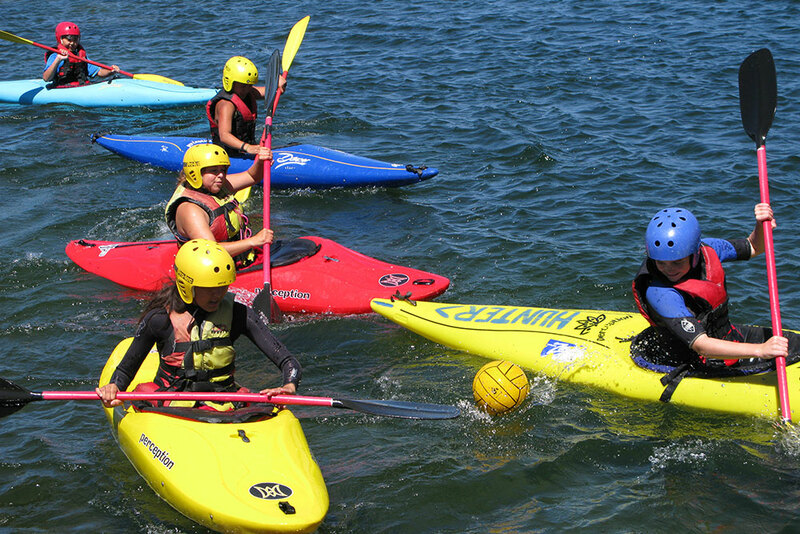 If you haven’t rafted before, you won’t want to miss it. Many of our returning campers sign up for this trip every year! 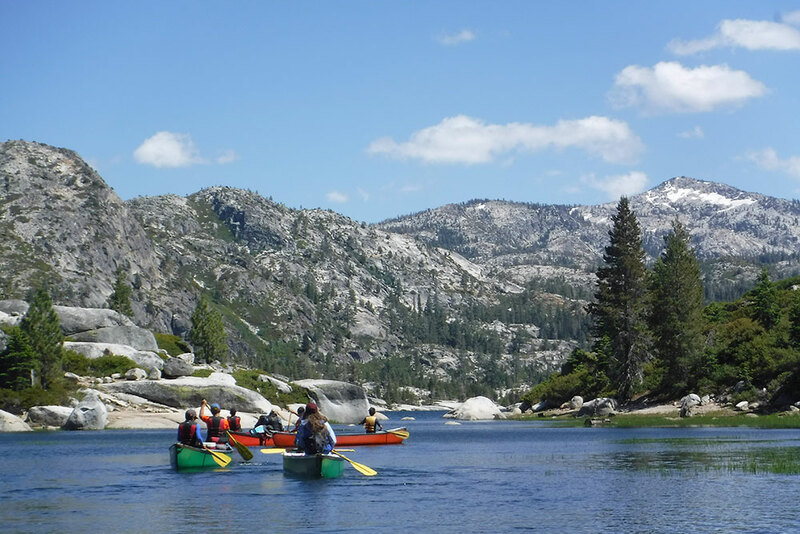 The raft trips are staffed by the professional whitewater guides of Mother Lode as well as two Deer Crossing certified lifeguards. This special trip has a ten camper minimum. Whitewater rafting is an optional trip at an extra charge and requires a special waiver form. 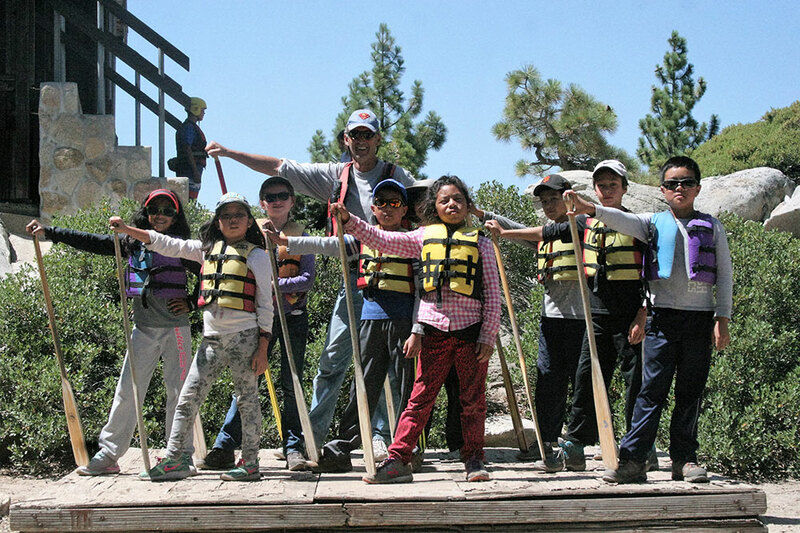 To go on the raft trip, campers must be at least 4’10” tall, weigh at least 85 pounds, and know how to swim. 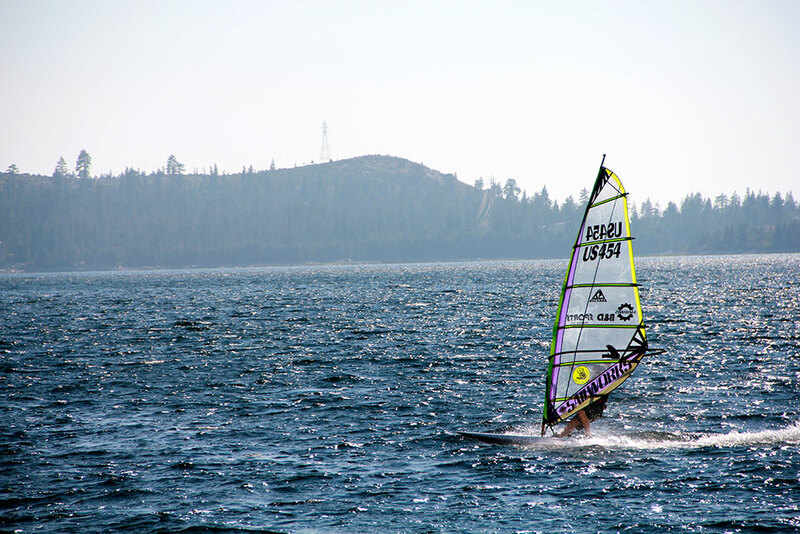 Loon Lake’s unique location results in consistent wind patterns, which makes for a lot of great windsurfing. Combining the power of sailing with the balance of surfing, we have a full range of sail sizes and boards to match for windsurfers of different ages, sizes, and at different skill levels. 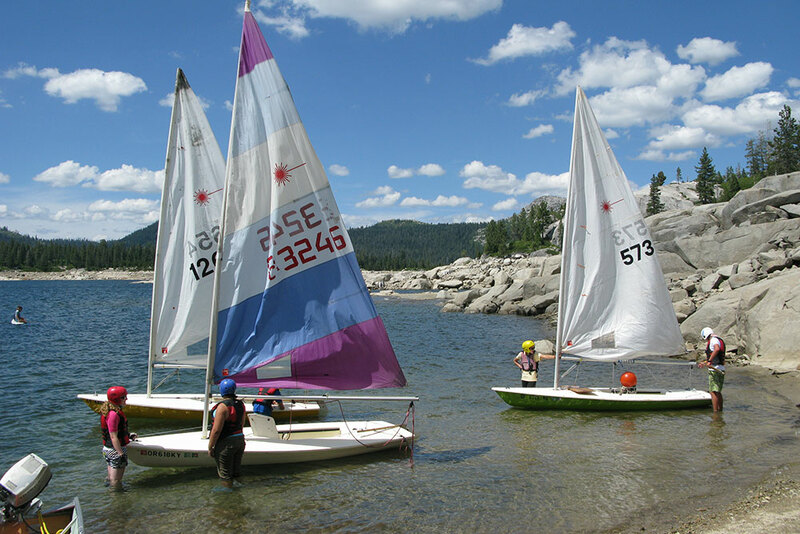 Campers start on a dry-land simulator, learning how to rig a board, read the wind, uphaul the sail, balance, tack, and jib. Next, they practice their new skills on the lake in a leash class. When a student needs advice, instructors reel the student in and talk about technique. 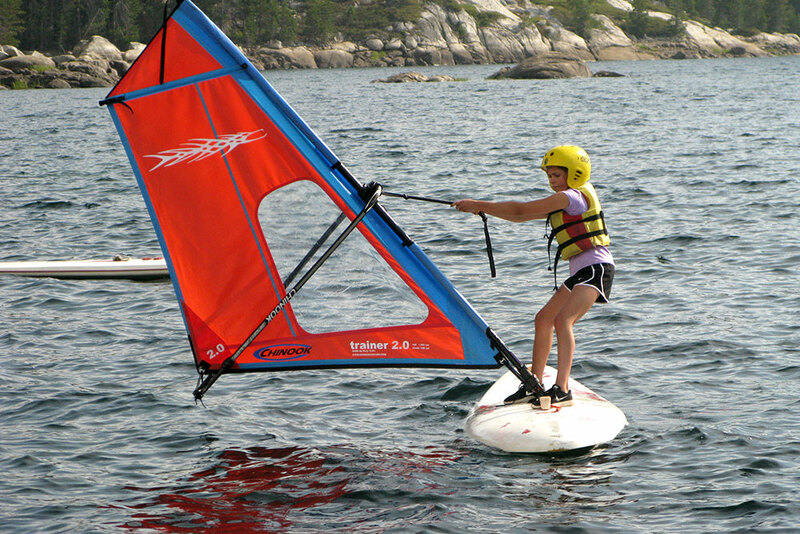 After passing leash, windsurfers take triangle classes where they learn self-rescue techniques and practice their skills in a controlled area off our beach. 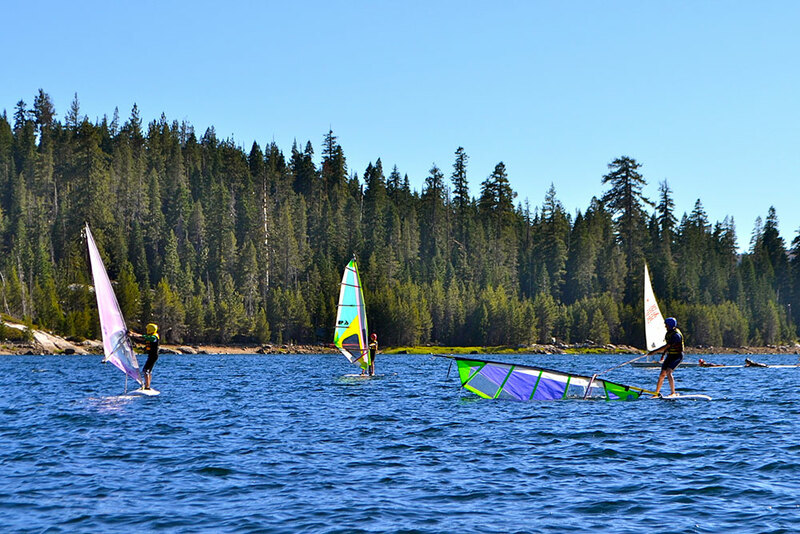 Advanced windsurfers move out onto open lake, often taking trick classes to learn sail spins, 360’s, helicopters, and other stunts. 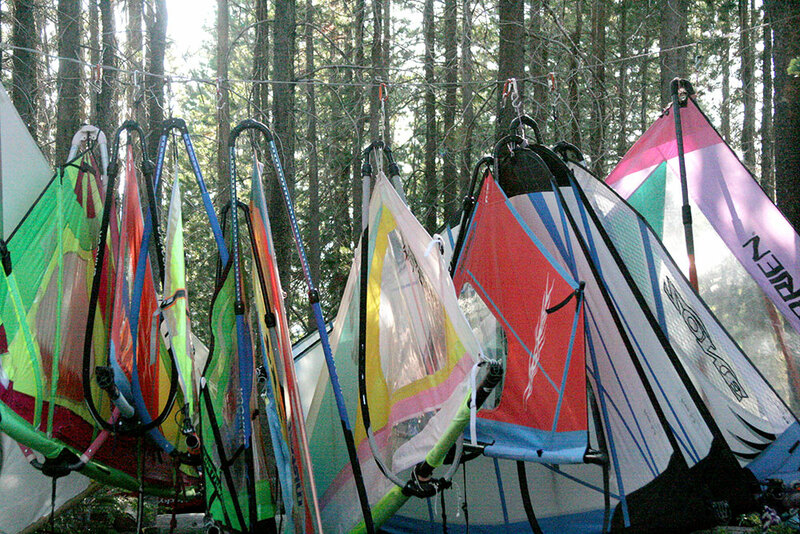 They may participate in races, take long-distance windsurfing trips to the islands, and play trick tag with instructors.